Find out who has access to your Google Drive files and folders. Google drive is one of many cloud-based tools that allow you to collaboratively upload, create, and share files with others. Unless you authorize a file to be shared, files are kept private by default. Many users, however, bounce between cloud services. Others might have multiple folders and groups with which they share files. It can become difficult to remember which files you shared with who. As employees transition between companies and projects change, protecting data security is paramount. There are few ways to conduct an audit of who has access to your Google Drive files and folders. Install the Google Drive Auditor Chrome add-on to scan your Google Drive and create an audit report of who has access to your files and what level of permissions levels each individual is assigned. This tool can also be used to see if multiple Google accounts from the same person have access to your files. After installing the add-on, grant permission from Google Drive to scan your account. 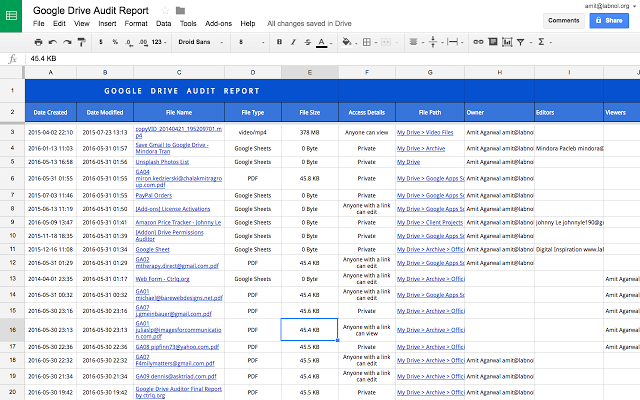 Google Drive Auditor is a Chrome add-on to see who can see your Google Drive files. 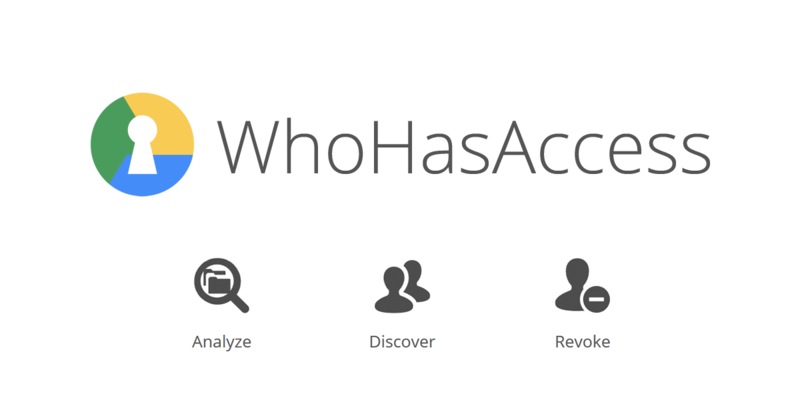 If you’d rather not install yet-another Chrome add-on, LifeHacker has recommended WhoHasAccess as a quick and dirty way to see who still has access to your files. This tool is simpler than installing an add-on. It can take a few minutes for the scan to run, especially if your drives are large. When the audit is complete, you’re given a visual list of who has what kind of access to which files. 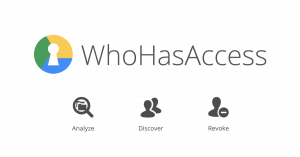 WhoHasAccess also offers the one-click option to contact a person on your list or revoke their permission to access your files. In most cases, they’ll never know you revoked permission and in some cases, your data’s security will be protected. Once you’ve completed a thorough audit of who can see, edit, and create files within your Google Drive, make a commitment to limit sharing of your files to as few individuals as possible. As the net widens, data is more vulnerable to poor protection practices and ultimately-data loss. One way to work with larger groups of collaborators while preserving your Drive’s security is setting up automatic expiration dates for shared links to your Google Drive. While Google Drive doesn’t offer a full audit within its website, it does offer suggestions to limit how people can share your files. These quick and easy extra steps ensure that your folders and files are only available to who needs to see them, for what you intend them to do, and for a reasonably limited amount of time. Secure Data Recovery leads the industry in recovering data lost as a result of physical damage, hacking, and cyberattacks. We know the frustration and lost time and money that our clients face when data is lost. It is our hope that all users will proactively protect their data. Even the best efforts though, unfortunately sometimes fail. Let us know via our Online Help Form or by calling 1-800-388-1266 if we can help recover your data today.